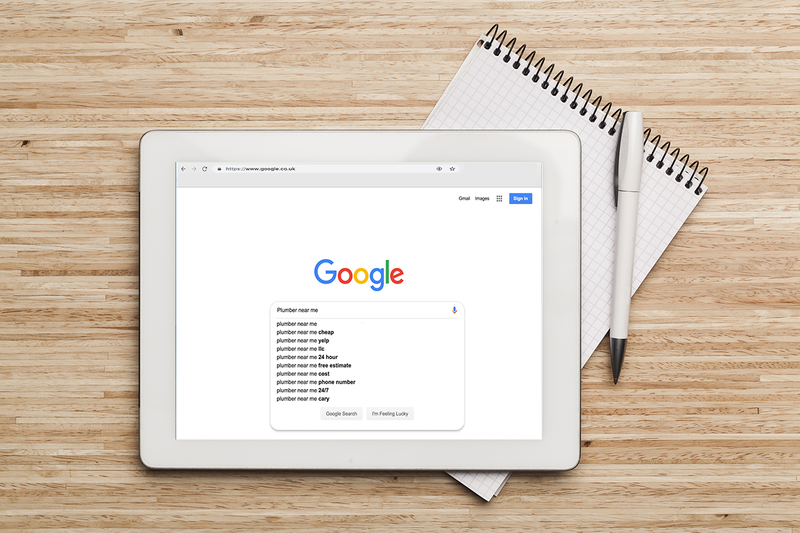 Business Blog > How to use Google Maps to get more service calls for your plumbing business? In this blog, we will go through how to set up Google Maps with Google My Business and increase your local ranking which will lead to more traffic to your website. More traffic, more calls, right? However, this alone won’t make magic happen overnight but with the help of a good plan, it will get you much closer to your goal which is why you should read till the end to find a few top tips on how to make the most out of this strategy. Are you already a marketing wizz? Let’s say you’ve got your 3-5 page website set up, you post regularly on social media, you even advertise on Facebook. And yet, you don’t get as many phone calls as you thought you would considering all this effort. We know getting traffic is hard and ranking on Google is even harder. So what can you do? If you’re not a keyword & SEO expert and you don’t want to spend all your money on advertising, Google Maps ranking is your best asset when trying to improve your overall Google ranking. How? By setting up Google Maps and Google My Business to start ranking locally. That’s one of the advantages a field service company has. You know exactly how far you’ll send your engineers out before a job becomes infeasible to accept due to location. Then why waste the time and effort in ranking nation-wide when you won’t be able to service a customer at the other end of the country? 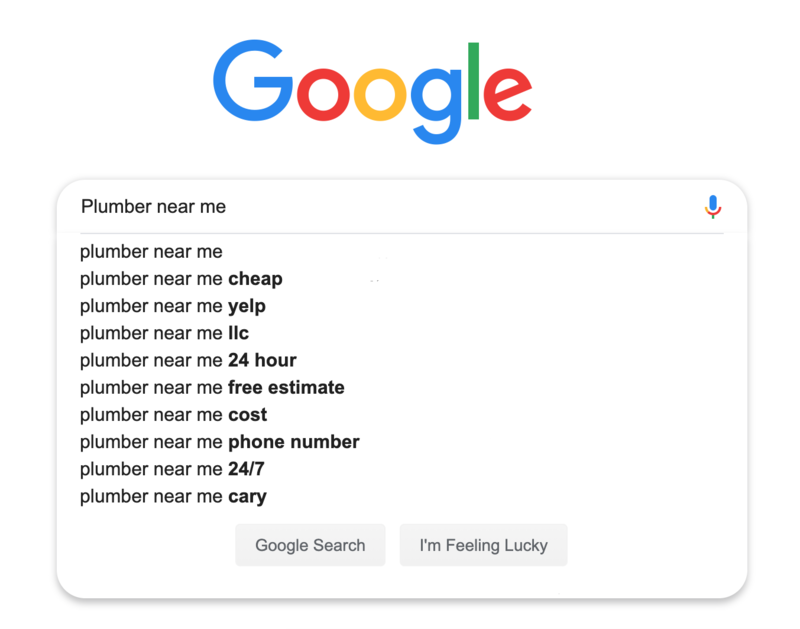 When your prospects are looking for a plumber or plumbing company, most of the time it’s an emergency so they will pick up their phone and type on Google something along the lines of “best plumber in my area” or “best plumbing company”, maybe “local plumber near me”. Google Maps is one of the main places people look when they need a plumbing business service. Especially when they need it now. Hundreds of companies are listed in your area so how does Google rank those plumbing services? How can you be number 1 in a Google Map listing? Google’s goal is to provide the most relevant information to the individual doing the search. This means that whenever it detects location specific language, it will take into account their general area. So when Google tries to determine who’s going to be ranked first in the area you’re servicing, the Google algorithm will check how often your company is referenced in its search engine. Is your business (and by extension your link) on Trustmark? How about Trustpilot? Checkatrade? Or Yelp? The more listings Google finds, the more authority will be given to your website. This is the essence of link-building. READ MORE: Which review website should I use for my plumbing and heating company? The next important point will be the consistency of the information you provide everywhere you appear. That’s why having the exact same details is so important to help Google. The information you provide (business name, business type, address, hours of operation, phone number) needs to match the information that is on other directories such as your website or Facebook page. By adding all this data in Google My Business, you will increase your chances of ranking first. Getting started with Google My Business is easier than you think. Just follow these 3 steps. Read on to find 4 top tips on how to make the most out of your listing too! 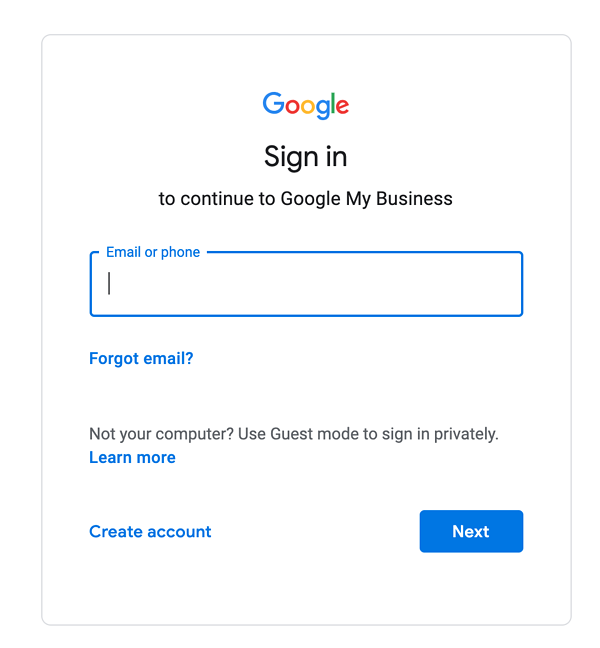 To create your GMB account you will need to Sign In here with your Gmail email address. Type your business name and address and click on "Maps", next you will be a map with your business location, click "More info". Then at the bottom right of the page you will see: "Is it your business? Manage this page." You will then have to add your full business address. Once you validate it, Google will send you a letter containing a PIN and activation instruction at the address linked to the account. Step 3. Manage your information and optimise your Google Maps profile. According to iMPACT, “Google now gives you 750 characters ( approx. 250 characters before the “Read More” separator) to describe your products, services, value, or whatever you want to communicate to your audience.” Make the most out of this space to help your business stand out. Words like “best plumbing service” or “fastest repairs” are not worth much unless you can prove it. Use measurable actions like “guaranteed to send an engineer in X hours” or “guaranteed an estimate on the spot” (want to know how to do this? We’ve got two words for you: paperless estimates). It goes without saying that you should be able to stay true to your promise. Your number of reviews is one of the main ranking factors when it comes to showing up first on Google Maps. Generally speaking, customers will associate trustworthiness with the number of reviews then consider how positive they are. If you’re not doing well in terms of feedback, you need to scale your review strategy. Sometimes it’s only a matter of asking. Good thing we have a guide on 10 ways to get more online reviews! Bonus tip! Reply to each review you get. Sometimes all you have to say is “Thank you!” but if you need help to handle bad reviews and turn haters into customers, we’ve got you covered. We’ve mentioned it before but we’ll say it again: no one wants to fumble through ten web pages, looking for a phone number, when their leaky installation is ruining the floor. According to Protocol 80, 62% of customers find it extremely/very important to be able to call a business at the purchase stage. So optimise pages on your site for conversion. An option would be to add your number on the top right corner of your website and make it clickable. READ MORE: Why is your website not making you more successful? Your business introduction should cut to the chase. Tell people who you are and what you can do for them. Make a list of the services you offer then check how relevant they are as keywords (a good tool for this is Google Keyword Planner). Follow this up with relevant links to your website, where prospective customers can find out more. Make sure the information you offer first covers emergency situations - those customers who can’t afford to wait - then add the rest of your options for those who are browsing for ideas when they’re thinking of a home upgrade. The Google My Business activity report shows you how customers interact with your brand when they find your listing on Google. You can see the number of visits to your website, the number of people that requested directions, the number of leads who called you and how many saw your pictures. Use these to set a series of measurable goals for your business. Do a full audit once every few weeks and observe your progress. Note what worked and what didn’t, optimise then redeploy. This is the essence of online marketing. Harvard Business Review defines customer experience as the “sum-totality of how your customers engage with your company and brand”. Having an up-to-date Google Maps listing with a consistent message similar to your website, will help you provide a better customer experience and take your business to the next level.